The iOS 12.1.1 beta 2 comes one-week after the release of the first beta and just over a week after the release of iOS 12.1 final version. iOS 12.1 was a major iOS update that brought multiple new features to iOS devices. The iOS 12.1.1 new features include the FaceTime user interface improvements. It also brings back the feature that allows you to capture a live photo during a FaceTime call. Apple has also reworked the bottom bar during a FaceTime call to include quick access buttons for muting a call or flipping the camera. iOS 12.1.1 features also include an option is Apple News to hide the sidebar when using the app in landscape mode on an iPad. The user can also disable the physical SIM to favor the eSIM. Apple has also updated the Apple Watch app icon to make it look like Apple Watch Series 4. 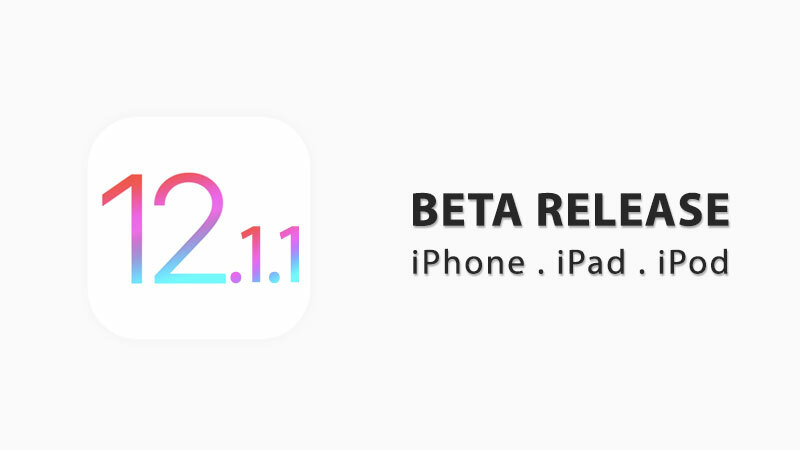 The iOS 12.1.1 beta 2 is available to both the developers and Public Beta Testers. The post Apple Seeds iOS 12.1.1 Beta 2 to Developers and Public Beta Testers appeared first on iPhoneHeat.